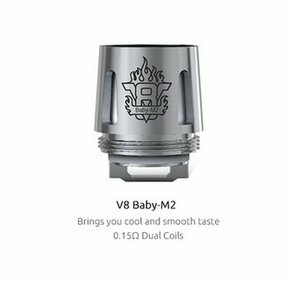 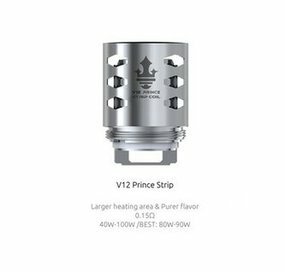 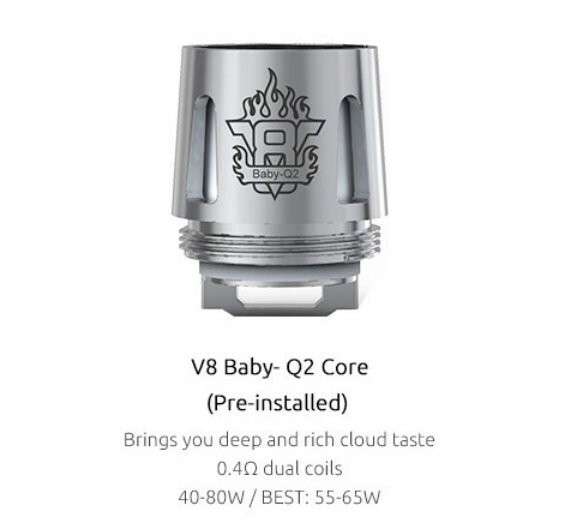 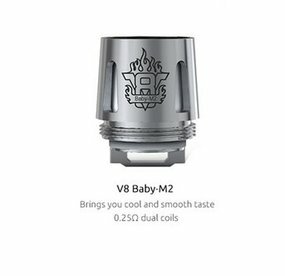 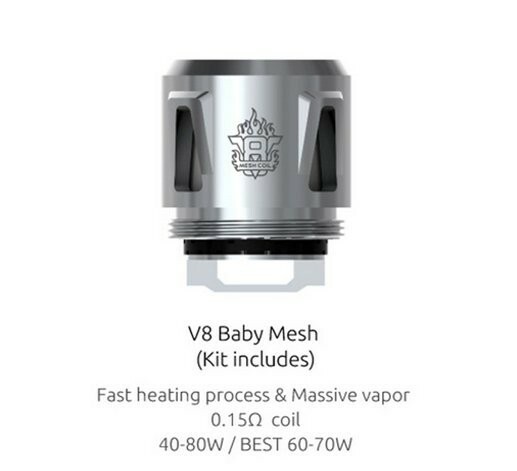 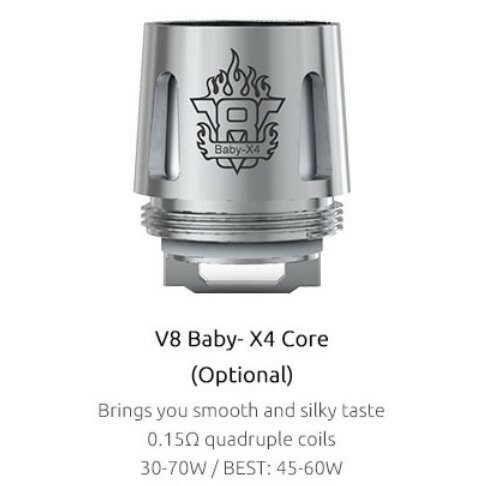 SMOK V8 Baby Q4 Coils 0.4 Ohm | Electronic Cigarette Co. 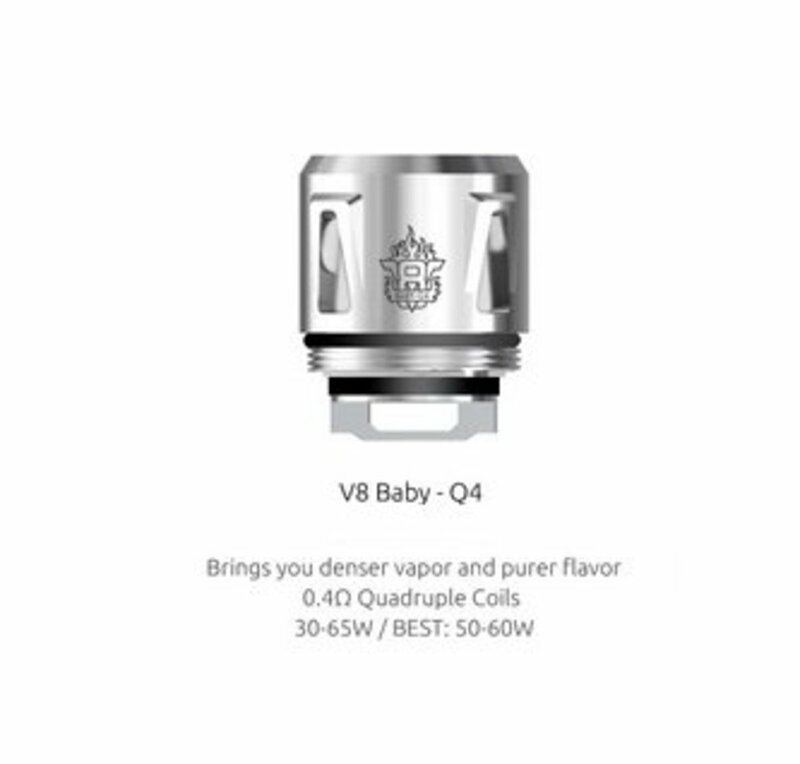 Pack of 5 genuine replacement SMOK V8 Baby Q4 quadruple stainless steel coils 0.4Ω Ohm. 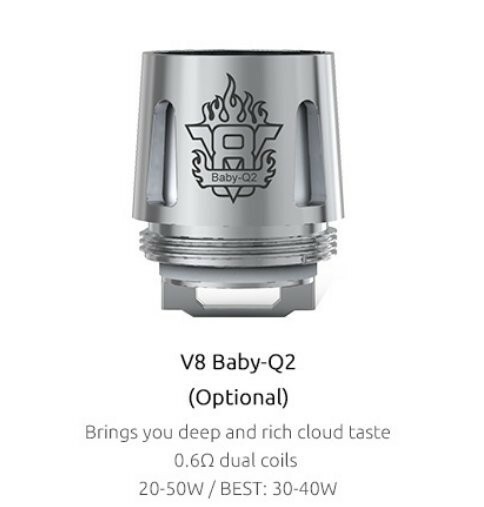 Wattage range 30-65W (best 50-60W). 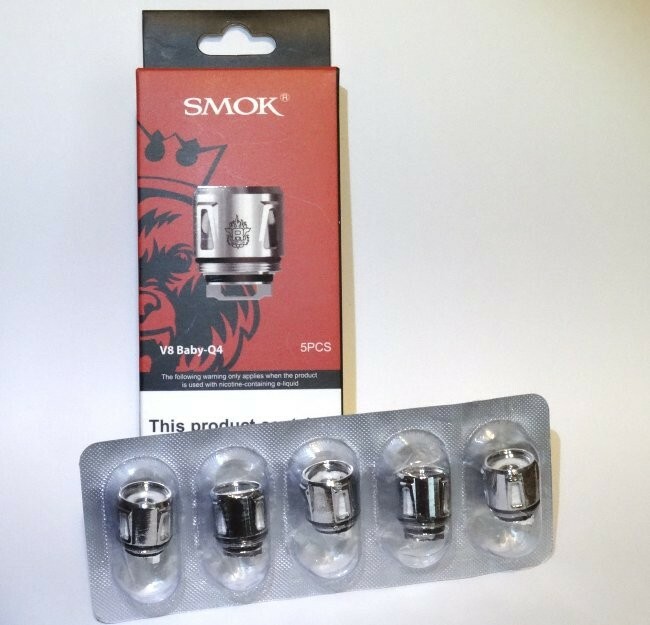 Pack of 5 SMOK V8 Baby Q4 Coils 0.4 Ohm.